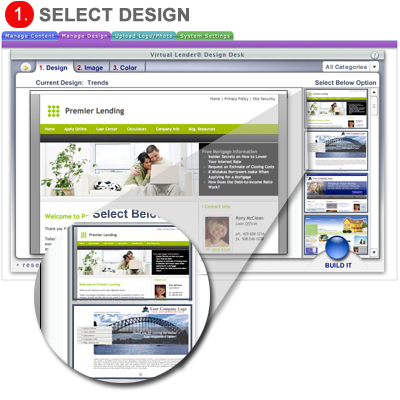 Professional, borrower friendly, browser friendly, effective flexible design choices. Each loan originator in your company may set up their own individual Virtual Lender website within your Enterprise environment and their personal web site will automatically be built with your company quality control standards that you have set up from your Enterprise Dashboard. Your originators will have the flexibility of a fully functional feature rich web site branded to your company content standards and specified design options. The Design Desk gives you the flexibility to change your company and loan officer website designs at anytime using the Rapid Design Desk. 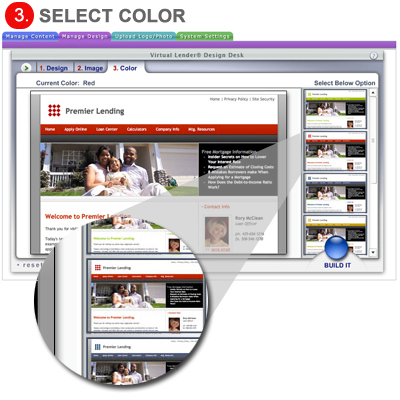 Force your loan officers to use a pre-selected design or give them the ability to select from all of the design options to personalize their websites. Aside from being called the most advanced and robust mortgage website builder in the industry. 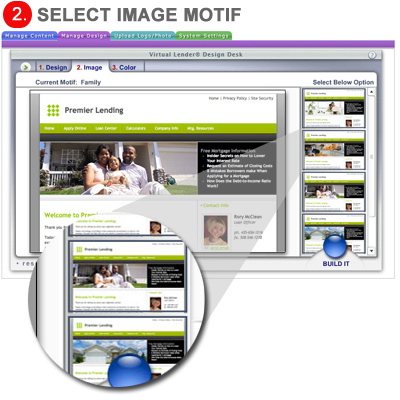 The Virtual Lender Rapid Design Desk is known for its ease of use. The Virtual Lender Rapid Design Desk is the ONLY website builder that provides this level of customization and Flexibility. No other product on the market even comes close to the power and flexibility of THE VIRTUAL LENDER RAPID DESIGN DESK.